The founder and proprietor, Chief Ramon Adegoke Adedoyin (Maye of Ife Kingdom), noted with nostalgia that the university was not indebted to any bank in building its infrastructures. 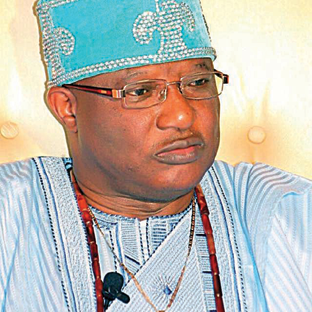 Adedoyin poured encomiums on the immediate past Ooni of Ife, the late Oba Okunade Sijuwade, who supported the university by donating hectares of land for the take-off. Oduduwa University commenced post graduate programmes in business administration and accounting in May 2017 while expecting the National Universities Commission, NUC, to accredit the following courses: BSc computer engineering, BSc mechanical engineering and BSc electrical/electronic engineering. Other courses on the line for accreditation are MSc computer science, MSc biochemistry, MSc microbiology, MSc mass communication and BSc nursing. Accreditation of BSc quantity surveying and BSc estate management is due in 2018. Meanwhile, plan for the accreditation of the law programme of the university is in the pipe line as the building is on the verge of completion. The 5th convocation was no doubt a huge success as 526 first degree students graduated while those who bagged first class and who wished to stay were offered immediate employments. The Vice Chancellor, Professor Chibuzor Nwoke, speaking on the convocation, said 25 of the graduating students bagged first class, 273 made second class upper, 216 bagged second class lower and eight made third class. The VC, who noted that the university had zero tolerance for cultism and other vices, disclosed that the institution was working towards emerging as the best private university not only in Nigeria but also in Africa. Consequently, he said the authorities had continued to provide a conducive environment for students to learn and excel. Nwoke added that the state of the art library is opened 24 hours of the day had been deliberately made available for students to excel. The convocation was flagged off with the Founders Day. There was also a convocation play, titled,’Efunsetan Aniwura’, performed by the Oduduwa University Drama Troupe. Professor G.G.Darah delivered the convocation lecture, titled, ‘The National Question, Ethnic Nationalism and the State of the Nation’. The weeklong programme also witnessed the award of honorary doctorate degrees on the Executive Secretary of Muslim Umma of South West Nigeria, Professor David Noibi, and the Deputy President of the Nigeria Supreme Council of Islamic Affairs[NSCIA]Alhaji Sakariyau Babalola.